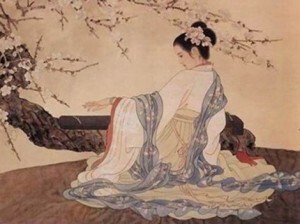 Autumn Wind Song ( 秋风词, Qiu Feng Ci, Guqin, 古琴曲) is based on the lyrics of the famous poem (see below) by Li Bo (701-762). In 1910s, Wang Yanqing (1867—1921) composed it based on several old score sheets. Autumn Wind Song ( 秋风词, Qiu Feng Ci, Guqin, 古琴曲) MP3 download link (right click, save link as)：Autumn Wind Song ( 秋风词, Qiu Feng Ci, Guqin, 古琴曲) MP3. When will we meet and be intimate again?